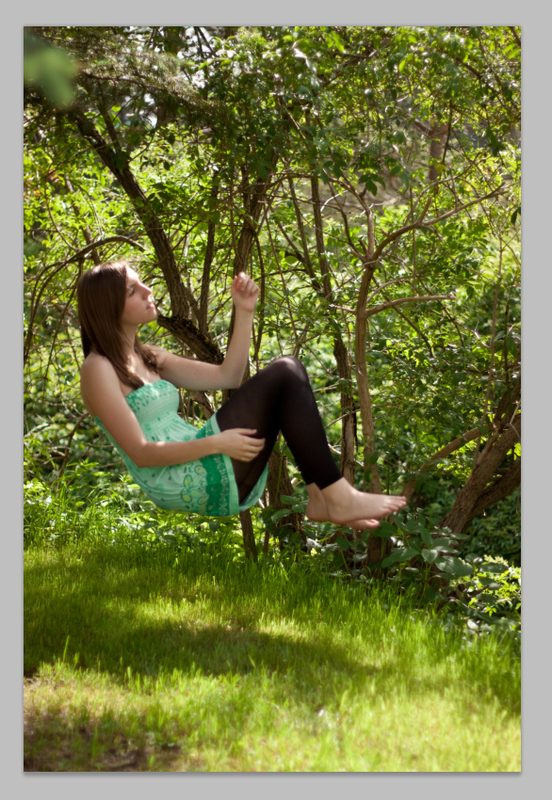 Tutorial 2/3 – The levitation | go do. Finally I had some time to finish the second part of my tutorial series. I would like to show you how I do my levitation and floating photos. This needs some practice, so don’t get frustrated with your first try. Have another! 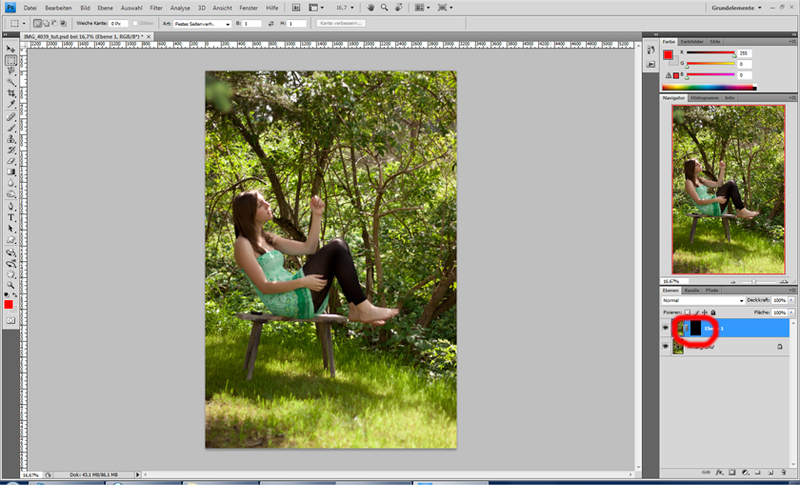 Please note: I do use Photoshop CS4. If you use another version you might not find everything at the same place. 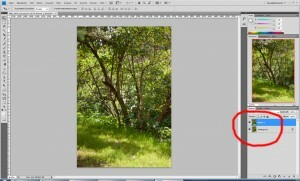 Google for the menu item and your Photoshop version if you can’t find it. I also do use a german version so don’t feel irritated by german terms on my screenshots. Read my descriptions for english terms. And you can click on the screenshots to view large. After a photo shoot I do copy all of the photos to my computer. I have a quick look at them and choose the final ones. For my levitation I need 2 photos. 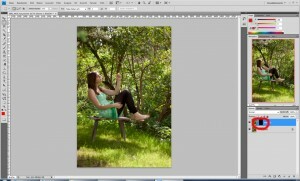 One of me on the chair and one with the background (for more information have a look at my tutorial #1). 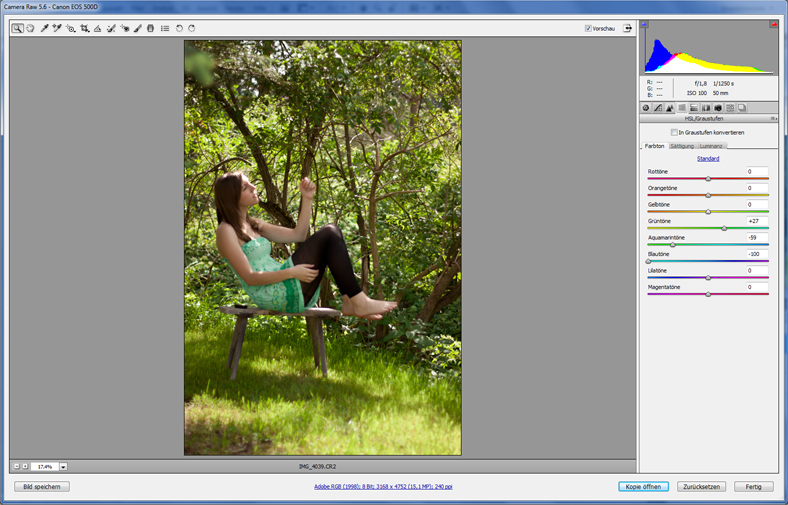 I open both photos with Photoshop and do some slight color adjustments in the raw preview (if you can’t open your raw files with Photoshop have a look at the Photoshop website for a raw plugin for your camera). 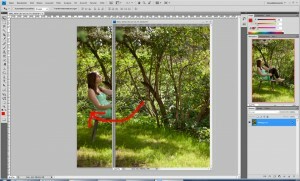 Make sure that you have exactly the same adjustments with both images! Now we can start doing magic. When you have both photos opened in Photoshop take one photo and put it “into” the other one using your mouse. Now you have 2 layers in one file. 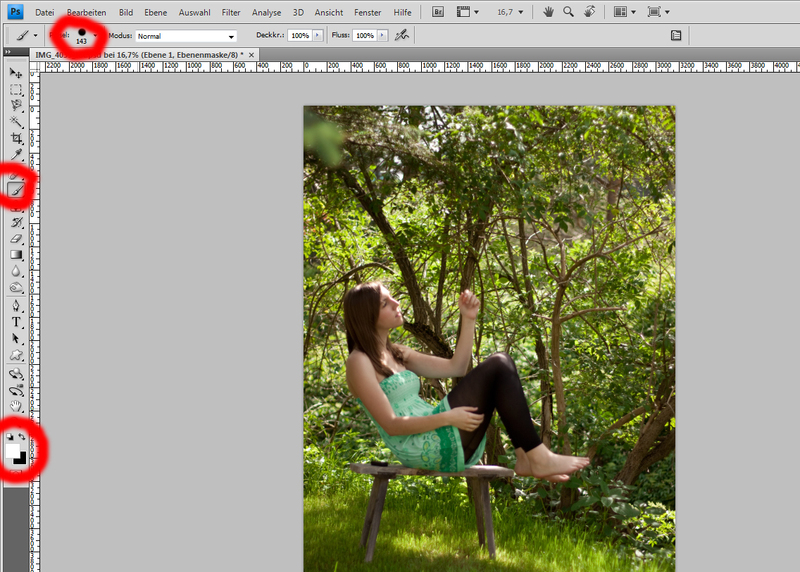 The background should be on the upper layer (Layer 1) and you on the background layer. Below your layers there are some symbols to adjust a layer. 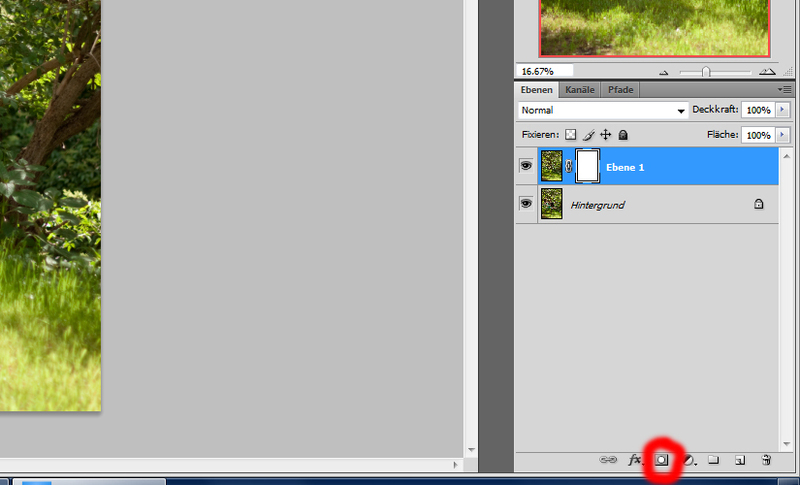 Having Layer 1 checked, click on the third symbol to “add a layer mask”. A white mask will appear beside your layer. 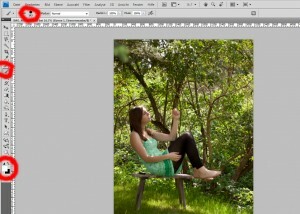 A layer mask will help us to make some areas of a layer visible and others not. As you can see white means visible. So we change the color of the layer mask to black. Pressing Strg + i on your keyboard is a very quick way to do so. This shortcut simply means inverse (colors). 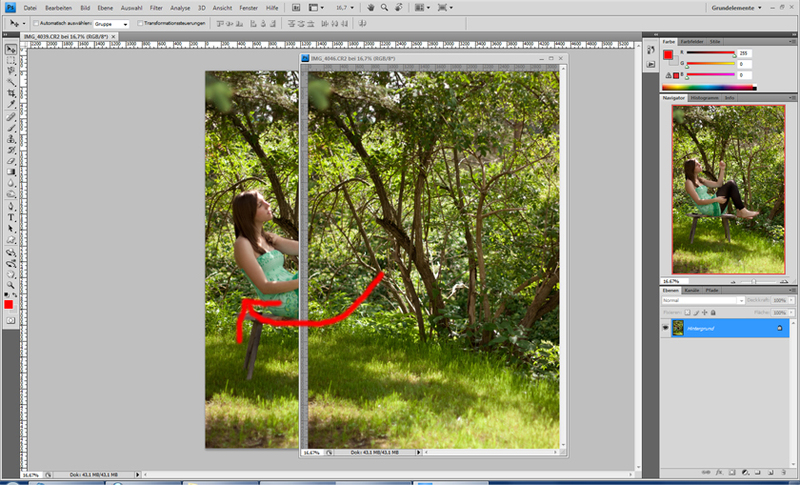 Now you should be able to see your background layer. To make parts of our Layer 1 visible again we have to paint them with white color. Cklick on the mask to check if it is selected. 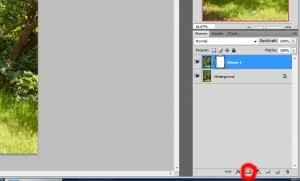 Click on the brush tool and select white as Foreground color (the upper color). To switch between black and white use the little arrow. You can also change the size of your brush. Now we can start to paint the chair away. Zoom in and take some time! 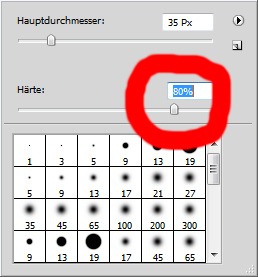 For not so soft brush edges go back to where you select the size and set the hardness to around 80 %. Soft edges will be needed for the gras areas to make soft blendings. Hard edges will be needed to get close to clothes and feet without making them half transparent. Have fun trying this and don’t give up that easily! Come back soon for my last tutorial in this series about a huge flower that i will put in my hand. Leave a comment for further questions or tell me if you liked this tutorial . this website is my aspiration , rattling wonderful style and perfect content .